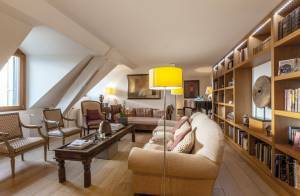 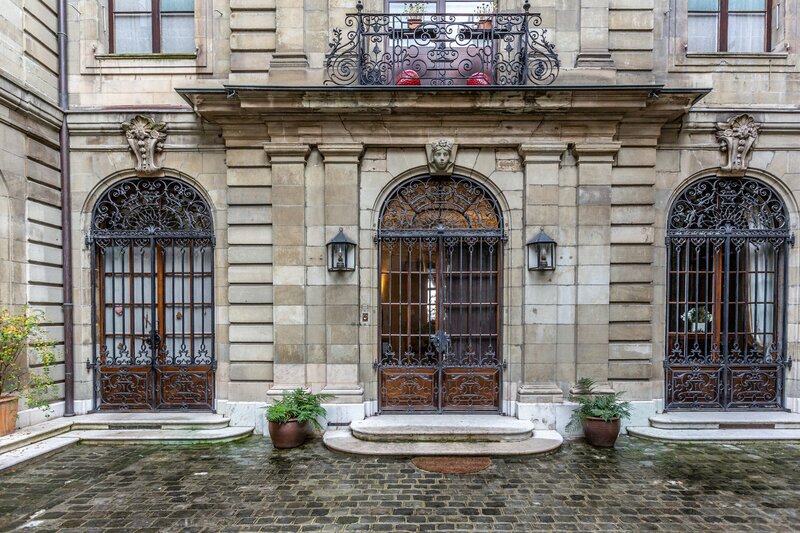 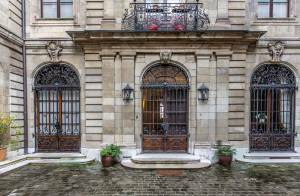 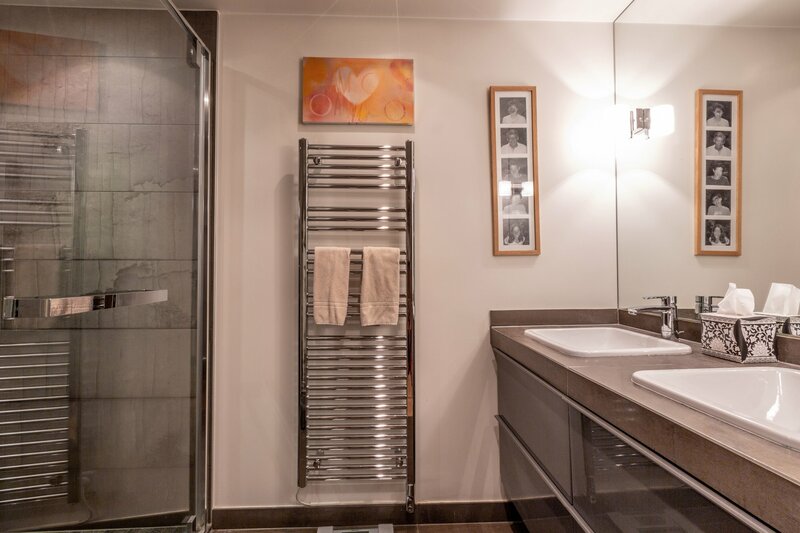 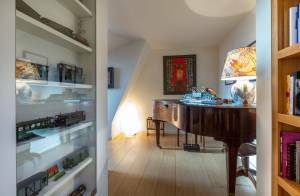 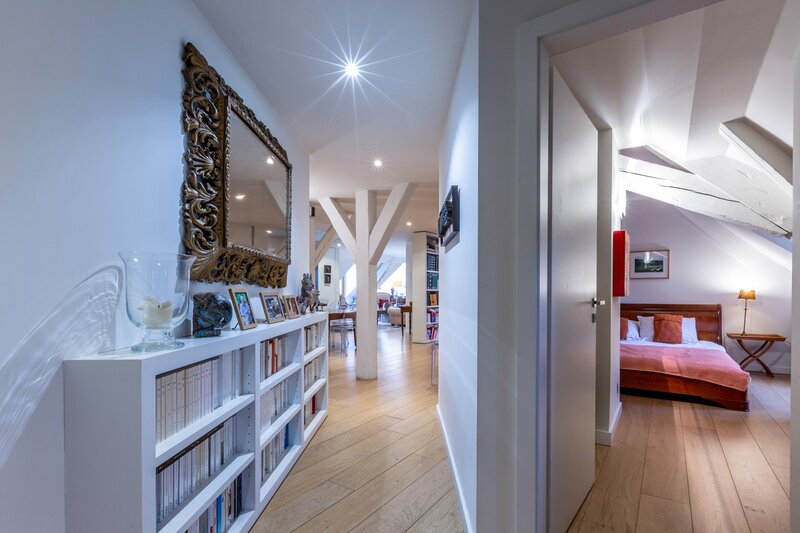 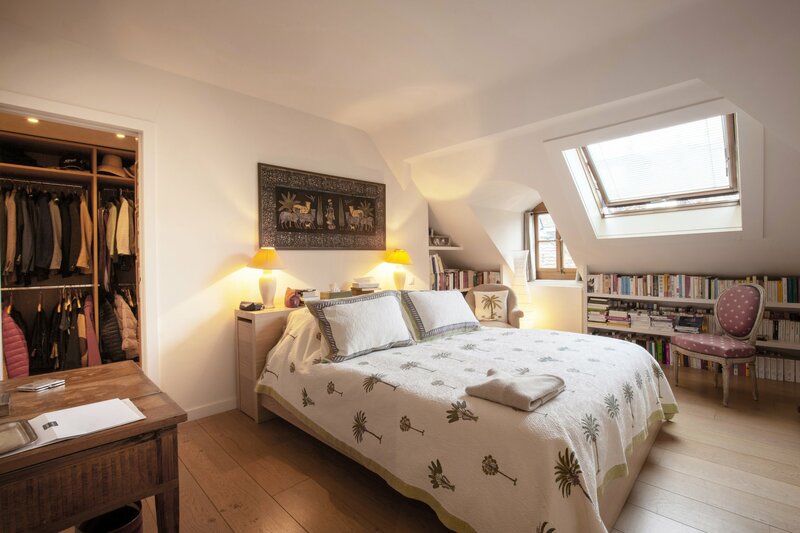 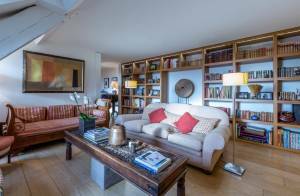 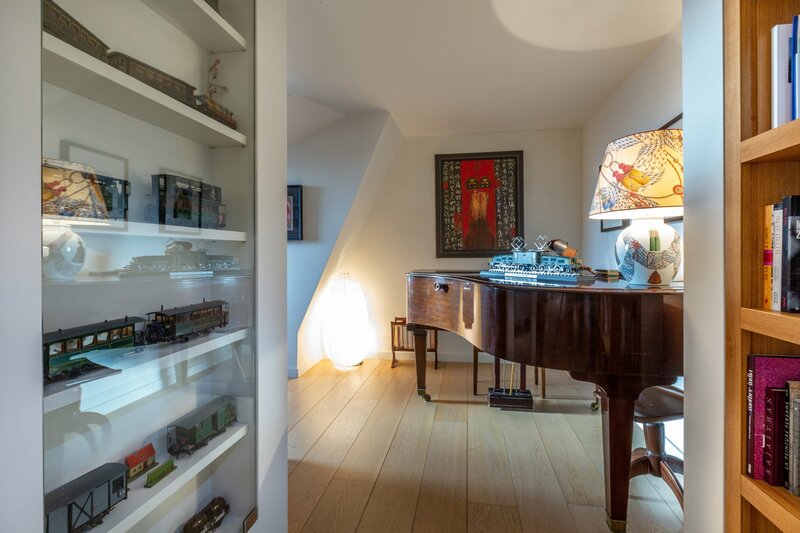 This splendid apartment located on the top floors of a beautiful mansion, enjoys the privileged setting of Geneva’s Old Town and is located on one of the most prestigious streets of the city. 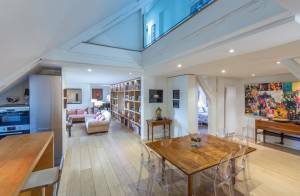 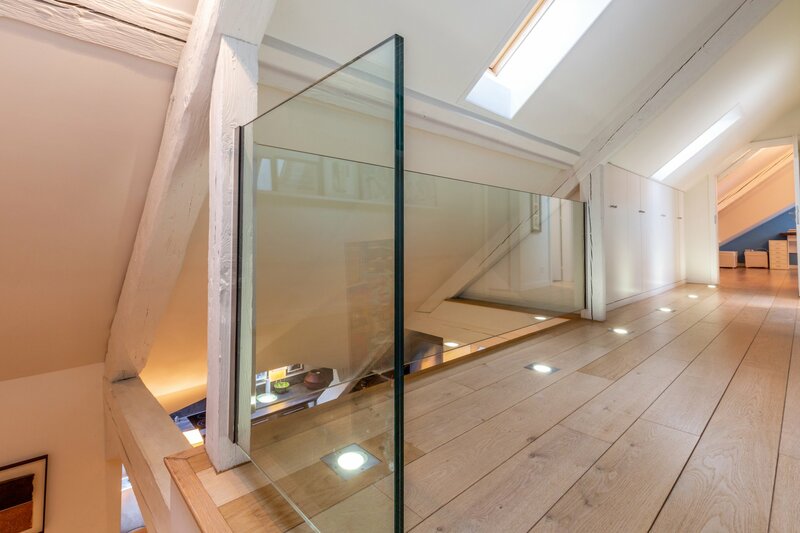 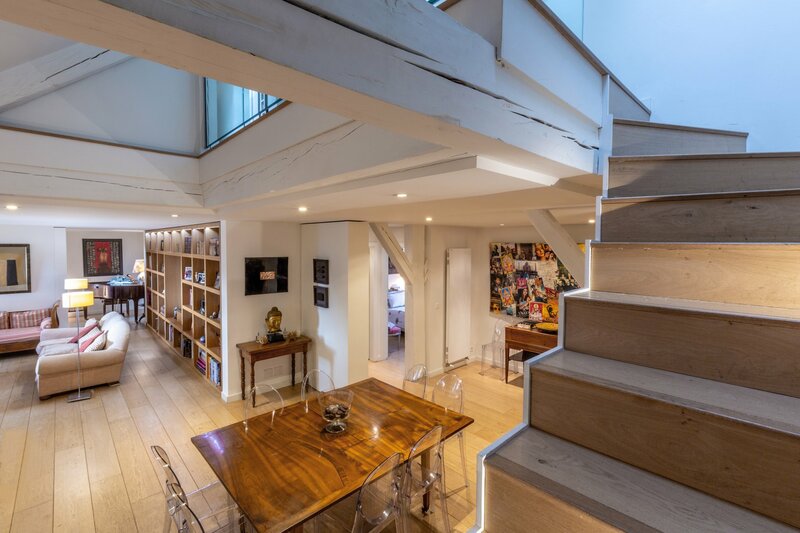 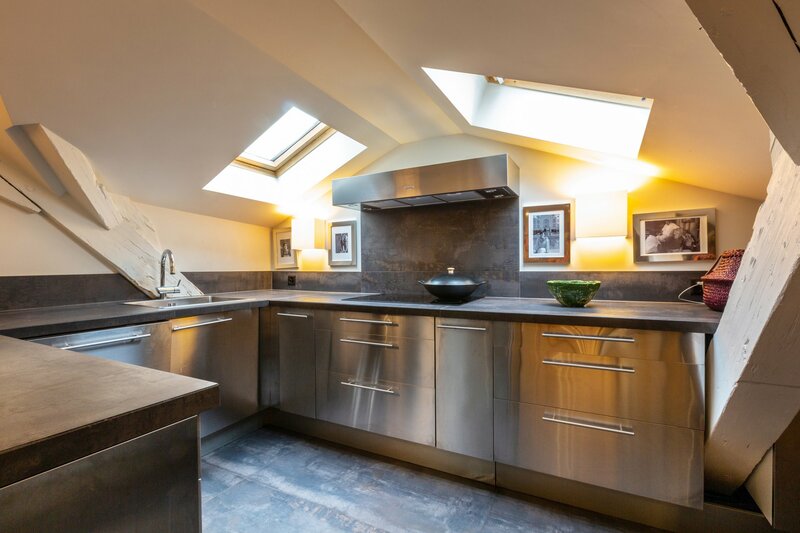 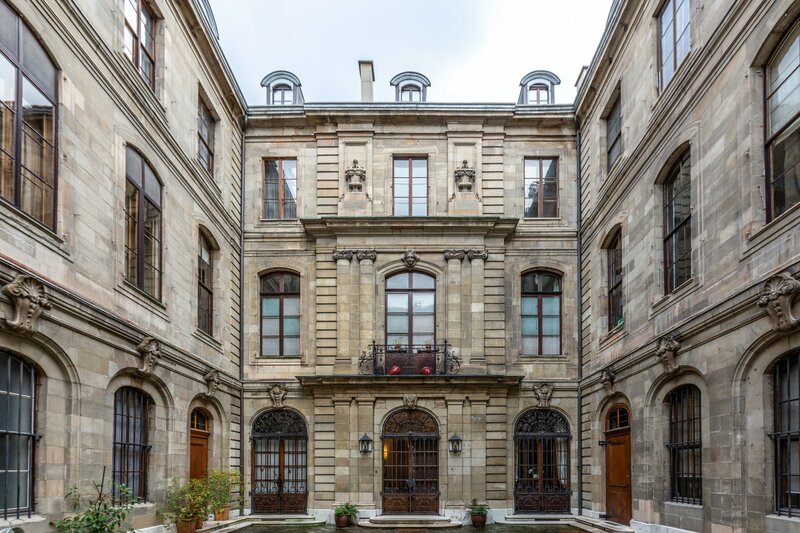 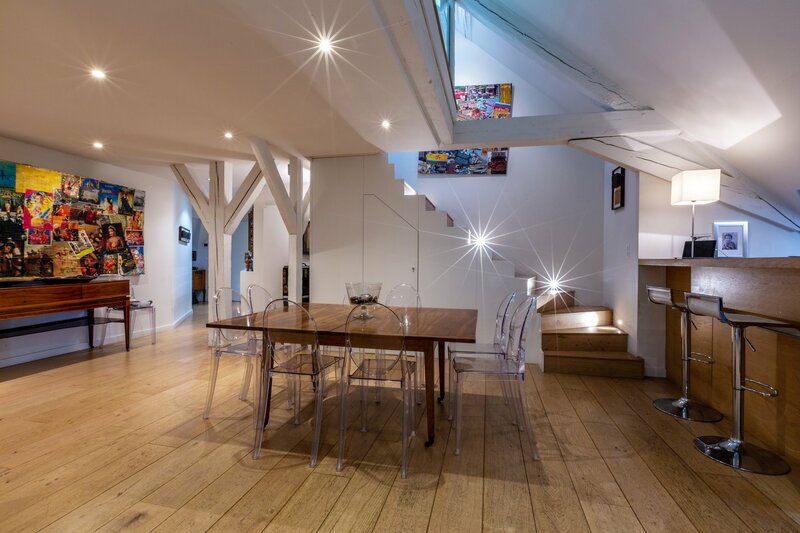 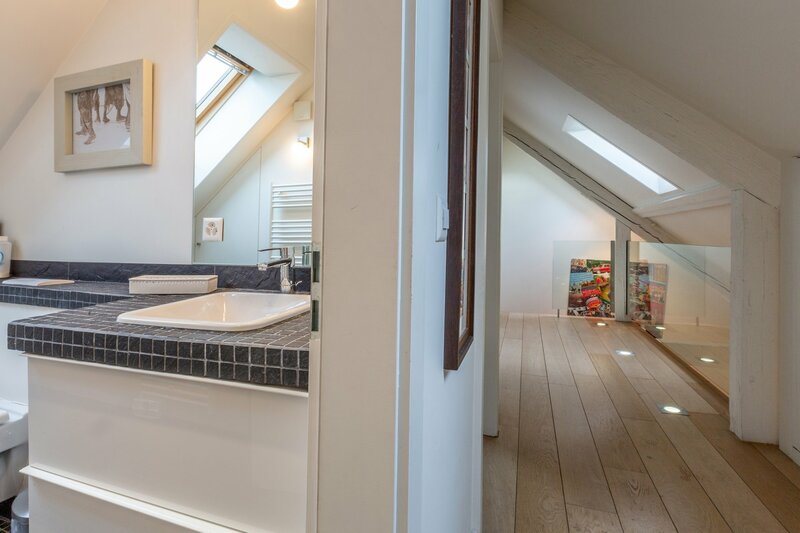 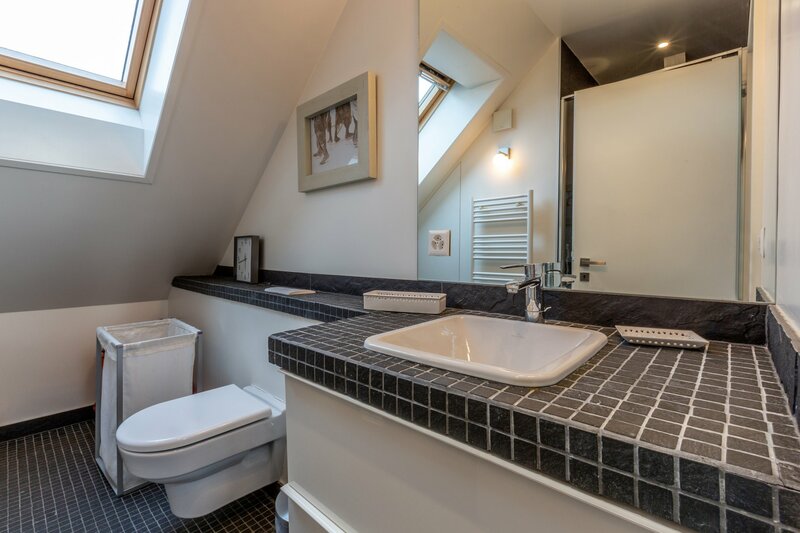 An interior courtyard, a cellar and a technical room complement this exceptional property. 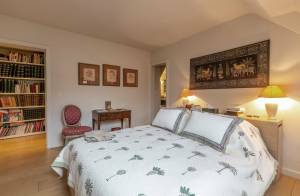 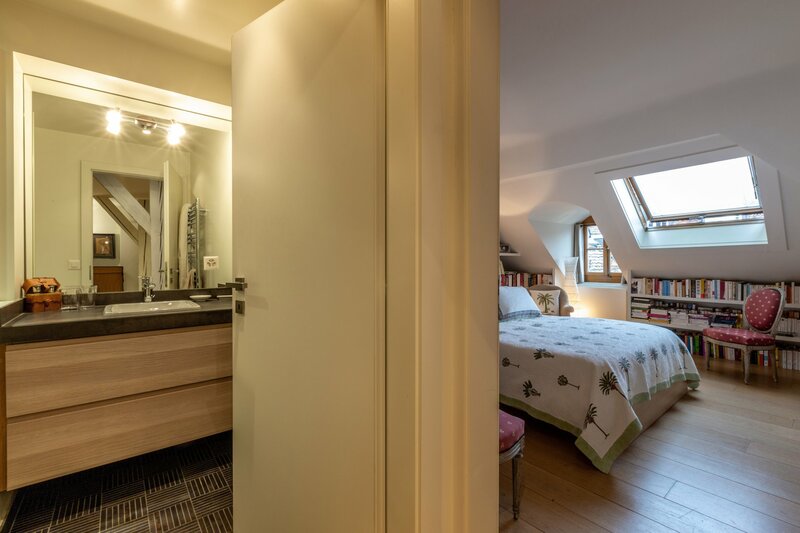 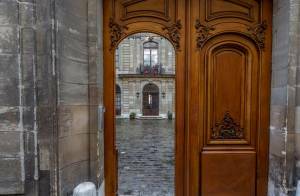 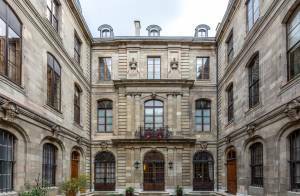 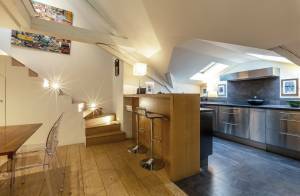 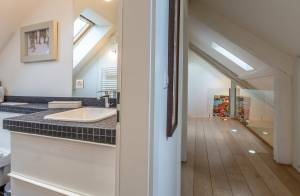 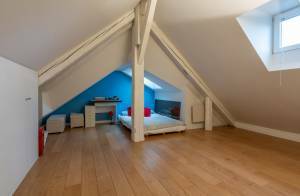 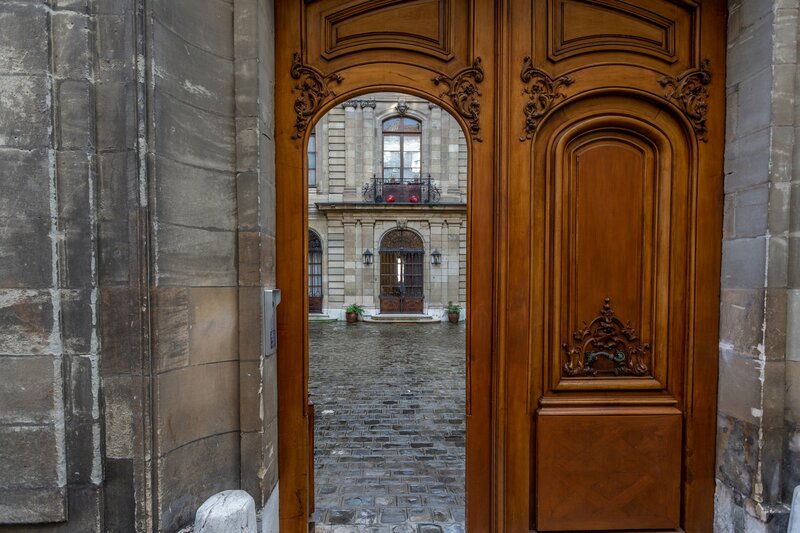 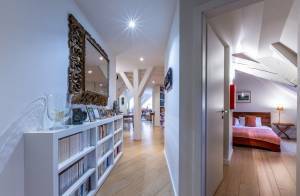 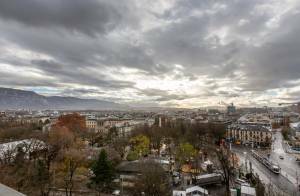 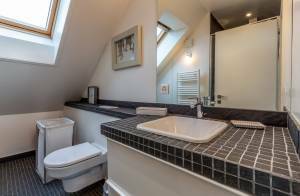 Exceptional position in the historic centre of Geneva, in the heart of the Old Town and close to all of its emblematic monuments. This fabulous apartment benefits from the proximity of downtown Geneva, its department stores, restaurants and shops.